It is with regret that we learn of the retirement of our friend, advisor and advocate Ed Haney. Ed educated and entertained Northeast Ohio audiences for decades portraying James A. Garfield . We will miss Ed’s stories, smiles, his bringing Garfield to life and sharing “Garfield” dollars. Ed was an exemplary portrayer so that his contributions to our Community will not be forgotten. It was my pleasure to learn from his example. On behalf of the Moreland Hills Historical Society and the JAG Birth Site, we thank you Ed Haney and wish you health and happy years in your retirement. 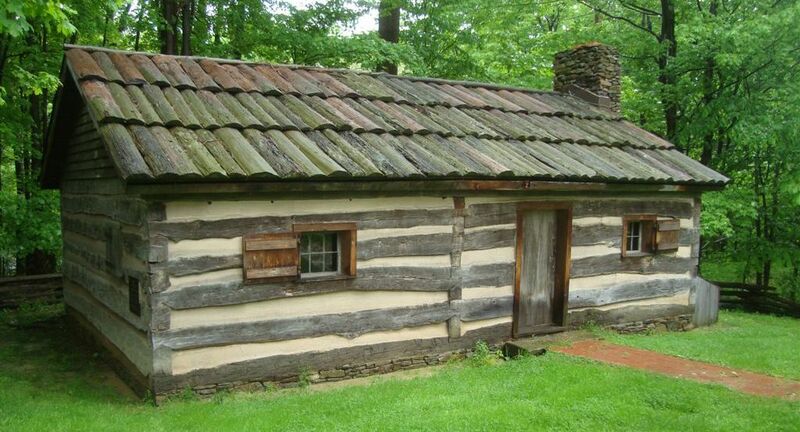 The cabin is open every Saturday 10:00-1:00. Stop for a Visit! On July 21st we’ll be serving hot dogs and root beer floats at the cabin…we hope you’ll join us. Wife of our 20th President, Lucretia R. Garfield passed away 100 years ago today on March 13, 1918. 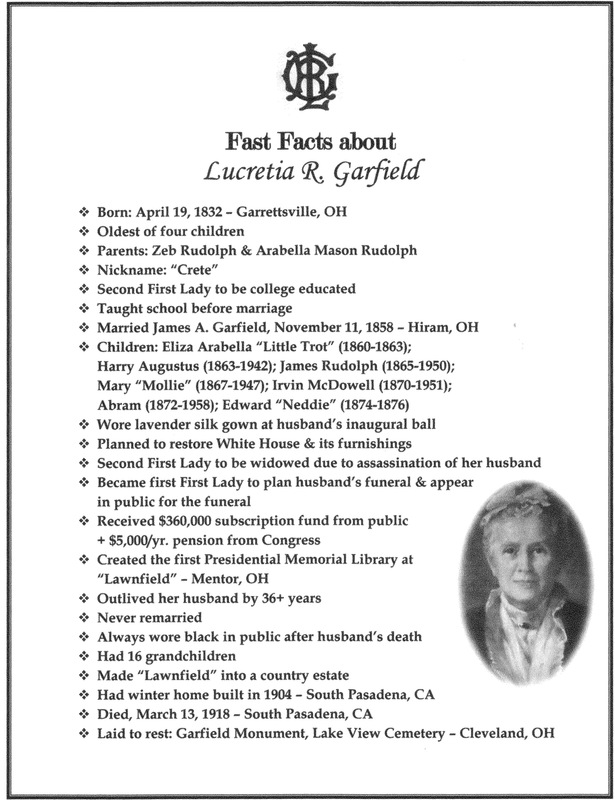 Click here for Fast Facts shared by Debbie Weinkamer, Lead Volunteer-James A. Garfield NHS & Portrayer of Lucretia R. Garfield. November is National Veterans and Military Families Month. We remember those who served our country in uniform.